Lean how to sew aprons and be the best dressed chef around with this list of free apron patterns for sewing! Any cook, baker, or crafter knows what it's like to get so wrapped up in a project that you don't even realize the mess you're making -- even if the mess is all over you. Spills happen, slips of hand happen. While you know it's an inevitability that, on occasion, your crafting can get a little messy, it's easy to keep the mess of you and your fabulous outfit. These free patterns for aprons are perfect for men and women of all ages. This page is full of 42 Supremely Cute Apron Sewing Patterns that you will adore! The best part about making aprons is that they're very beginner friendly sewing projects, so if you're a sewing newbie, this list of free apron patterns is perfect for you! If you've got years of sewing experience under your belt, then you'll love finding the best apron idea to embellish, embroider, and personalize to fit your own style. The possibilities are endless with our reader-favorite list of ideas for making aprons. Plus! Don't miss our video on how to make a trendy half apron right below. If you're completely new to sewing, then you'll love making aprons because they're a classic beginner sewing project. Simple and quick to make, DIY aprons are the perfect way to combine pretty prints and patterns with easy sewing and make cute and practical gifts for birthdays, holidays, and more. Don't stress over complicated sewing projects and go back to basics with this list of patterns for sewing beginners. Easy Square Aprons TutorialYou can never have too many aprons! If you've been searching for a quick and easy sewing project, then you'll fall head over heels for this Easy Square Aprons Tutorial. A wonderful way to bust up your fabric stash, this tutorial for DIY aprons comes with a sew and no-sew option. Holy Cow ApronCook until the cows come home with this adorable Holy Cow Apron. This fun cattle-themed DIY apron pattern is incredibly simple and easy to make. One Hour Free Apron PatternWhether you are rushing to make a last-minute DIY gift idea or just want to find easy sewing projects to start out your sewing adventures, these One Hour Free Apron Patterns are going to be a joy to create. This free sewing pattern is reversible, quick, and absolutely adorable. Ruffled Floral ApronAn easy sewing project can keep your clothes clean while you cook. Sew yourself a Ruffled Floral Apron to wear as you chop, stir and grill. This simple apron is easy and budget-friendly to sew. Choose your favorite floral fabric and a complementary fabric for the ruffled bottom. Adult Bib ApronLearn how to make an apron that's great for adults. The Adult Bib Apron is a useful free sewing pattern. With a basic neck shape and long draping, this apron will protect an entire outfit. Whether you are an artist, cook, or crafter, this apron is great for any and all messy situations. Learn how to sew Aprons for the kitchen with these amazing ideas. If you or someone you know spends a lot of time in the kitchen, a good apron is a must. Check out these sewing tutorials to learn how to sew aprons for anyone who loves to whip up some sweet treats or cook some savory meals. Vintage Free Apron PatternsThese Vintage Free Apron Patterns are easy to create and you are going to adore the pocket-filled design. Make one as a gift or keep it for yourself. Adjustable Kitchen ApronThere's no need for multiple aprons when you can make one that serves every chef in your house. Sew an Adjustable Kitchen Apron that you and your husband can share. Apron with PocketYou can look as good as the food you're cooking. Try free sewing apron patterns like the Apron with Pocket tutorial to cook in style. This easy sewing project is simple and quick to produce. Betty Draper Inspired Hostess ApronYou can look just like Betty Draper from Mad Men with this free sewing apron pattern! It's simple to create and helps you achieve that retro look while still being totally useable. Classic Audrey Hepburn ApronNo one says elegance and femininity like Audrey Hepburn, which makes the Classic Audrey Hepburn Apron pattern perfect for any sewist looking for a touch of grace in the kitchen. Easy Ruffle ApronStart cooking in style with this Easy Ruffle Apron! This vintage-inspired apron tutorial will show you how to quickly make this free apron pattern, complete with all the adorable bells and whistles you could want. Easy Patchwork ApronsUpdate your list of kitchen necessities with this full tutorial for Easy Patchwork Aprons. This free sewing tutorial is the best way to create a stylishly fun apron in hardly any time at all. Simple Vintage ApronFor a look that says chic and sweet, use this apron sewing pattern to make a Simple Vintage Apron. See how to make an apron that looks just like what was worn in the 40s and 50s with your favorite materials and patterns. Cafe Apron Free Apron PatternThis tailored and textural Cafe Free Apron Pattern is a great scrap buster! This adorable DIY apron uses French seams to connect fabric strips and a stitching technique which creates a playful wave looking texture. Free Retro Apron PatternFeel like the large-and-in-charge domestic diva you are with this Free Retro Apron Pattern. This one-size-fits-all pattern isn't just adorable; it's figure flattering for just about any body shape out there. Star Wars R2D2 DIY ApronThese might not be the droids you are looking for, but they most definitely are the free apron patterns you have been seeking! Learn how to make an apron with the Star Wars R2D2 DIY Apron. If your family includes people who love to spend time in the garden, or perhaps some grill masters, they are sure to appreciate any of these outdoor aprons. Check out these free apron patterns to learn how to sew aprons that are perfect for an outdoor barbecue or for a gardening project. DIY Garden ApronSummer gardening is always a relaxing way to get out in the sunny weather and this DIY Garden Apron will help you out tremendously! Barbecue Apron for DadGive Dad a gift he will love without spending a lot of money. You can make this Barbecue Apron for Dad with any canvas bag you already have. Barbecue Apron for MenThe king of your grill has to keep his clothes clean while he's cooking up a storm at your next party. Sew him this Barbecue Apron for Men to wear while he's grilling the ribs, burgers, and kabobs. Handy Woman's Apron PatternStep aside, men; this lady can DIY with the best of 'em. The Handy Woman's Apron Pattern will show you how to sew an apron for storing all your tools. Ultimate Utility ApronThis Ultimate Utility Apron is a reminder that it's easy to make clothes that are fashionable and functional. If you follow the instructions correctly, you'll end up with a DIY easy apron that will make your chores a breeze. Easy Gardening ApronIf you're looking for free apron patterns to sew, this Easy Gardening Apron is a great craft to keep your gloves, seed packets and gardening tools right on hand while you work in the garden. Pioneer Free Apron PatternNot all free apron patterns are created equally and this how to make an apron pattern is entirely unique. The Pioneer Free Apron Pattern is a sewing project for beginners that is so old-school that you will feel like Laura Ingalls Wilder when you wear it while cooking. Kids love arts and crafts time and cooking alongside Mommy. For the times when the paint and batter fail to make it where they were supposed to, these simple aprons are sure to do the trick. Keep your kids' clothes clean by learning how to sew aprons that are just the right size for your little ones. Little Birdie Girl's DIY ApronIf you've got a free evening, you should use it to make this Little Birdie Girl's DIY Apron! The fabric it uses is from FreeSpirit's Novella collection and it has an adorable pattern on it for your mini chef to wear. Baking Outside the Box Apron TutorialWith the Baking Outside the Box Apron Tutorial, you can sew apron patterns for kids in three sizes. Outfit your little chef for a great time in the kitchen. Kids Reversible Apron PatternThis week's Reversible Kids Apron Pattern is so fun and says summer all over! Yaaaay! I am loving all the bright colors! Fat Quarter Crafting ApronIt can be fun to craft with kids even though it's a hassle sometimes.To get them in the DIY crafting spirit, follow this Fat Quarter Crafting Apron tutorial so that they can keep their clothes clean while they make fun crafts. Pint-Sized ApronYour little girl will love helping out in this kitchen or just playing house in this Pint-Sized Apron. Small enough to sew in a day, you can create several of these DIY aprons for all of the kids in your household. Funny Face Apron TutorialThis free apron pattern is exclusively for those messy little munchkins of yours. With this Funny Face Apron Tutorial, you can expect the house (and your children's clothes) to be much, much cleaner. Kids' Retro Apron PatternWhen your little girl wants to help out in the kitchen, let her give you a hand while she's sporting this adorable Kids' Retro Apron Pattern. Reversible Craft Apron for KidsArts and crafts time for kids can get messy, but there is an easy way to protect their clothes. You can sew a Reversible Craft Apron for Kids by following this printable pattern. Ruffled Apron for GirlsHere's a handy sewing project that will help keep your little girl clean while helping bake in the kitchen. The Ruffled Apron for Girls has a pocket, ruffles at the hem and ties in the back. Alice in Wonderland ApronYou don't have to buy a costume to look like you're going on an adventure to Wonderland. The Alice in Wonderland Apron is a great project to learn how to make your own costume. You are going to love this section full of easy refashioning projects and thrifty DIY aprons. These free patterns for aprons are great for anyone looking to sew an apron on a budget. 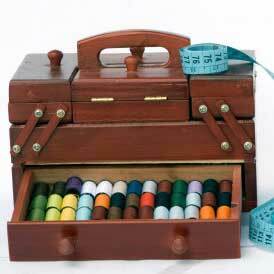 You don't have to purchase anything new to take advantage of these sewing tutorials. Grab the clothes and fabrics you're ready to refashion and follow along with the simple sewing instructions. Upcycled Button-Down ApronYou don't have to spend a lot of money to add a sweet, feminine apron to your kitchen attire. This Upcycled Button-Down Apron is made from a recycled men's dress shirt that you can find for pennies at your local thrift store. Bath Towel ApronIf you have a little one that like to splash in the bathtub, you need a bath towel apron. The top naturally folds down, creating a convenient flap for drying your hands. Easy T Shirt ApronsEveryone has an excess of old T-shirts hanging around. Here's a good beginner sewing project that refashions your old rags into easy t-shirt aprons. Men's Shirt ApronTransform an old men's dress shirt into a collared apron in this apron sewing tutorial. The Men's Shirt Apron is a wardrobe refashioning project that will look good on men or women. It's a great upcyling sewing project that's easy to make. Ten Minute Pillowcase ApronIf you are looking for easy aprons to sew, this Ten Minute Pillowcase Apron is for you. All you need to create free apron patterns that are cheap as they are cute is ten minutes, your machine, and an old pillowcase. Beginner's Vintage ApronNo kitchen is complete without an apron hanging up somewhere. Make this Beginner's Vintage Apron yours with this easy-to-follow tutorial! 10 Minute Free Apron PatternHave ten minutes to spare and an adorable dish towel? If you do, you could have a brand new, adorable, and practical apron in no time. This 10 Minute Free Apron Pattern is crafted from a dishtowel and is absolutely adorable. Vintage Handkerchief Free Apron PatternThis darling Vintage Handkerchief Free Apron Pattern is a great way to show off pretty handkerchiefs! It would be a great hostess or family gift as well. Recycled Denim Kids' Craft ApronIf you have a child who loves baking, crafting, or just getting messy, try sewing this Recycled Denim Kids' Craft Apron. Instead of tossing your worn-out jeans, repurpose them for this easy apron pattern.